You’ve got a big day coming up: an all-important presentation. Don’t stress! Let’s take it to the next level with a professional PowerPoint template made to fit your brand. Start a Design Contest and our designers will create a custom template you’ll love, guaranteed. 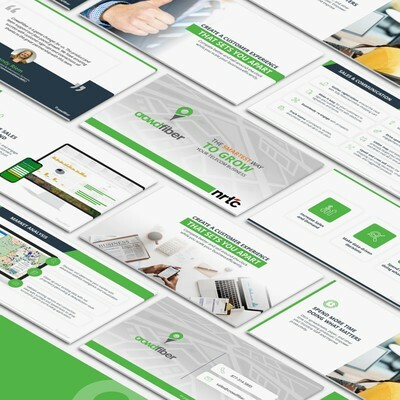 We've curated the best PowerPoint template designers so you can find the right expert and request a quote instantly. All eyes and ears on youWhether you’re presenting to investors or speaking at a conference, a well-designed deck has got to be #1 on your checklist. It’s the best way to look professional and make sure your audience is captivated. 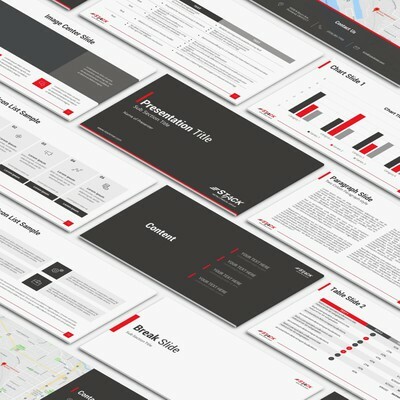 Our designers are masters of the latest trends, and they’ll design an awesome PowerPoint template so you can start building your best presentation ever. You have access to our entire global design community who can send you all sorts of creative design ideas, unique to your presentation. 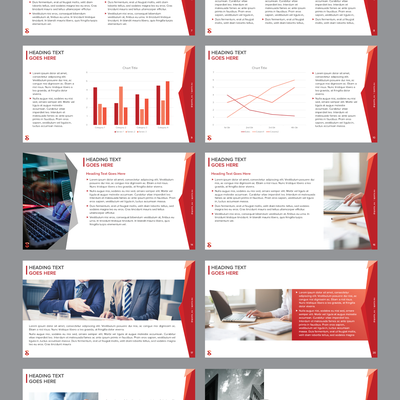 Your new PowerPoint template comes with presentation files that you can start using immediately. Plus, the copyright is all yours. Seven days later, choose your winning PowerPoint template design. It's like picking your favorite child. Pitches to presentations. We’ve got you covered. We hack stuff. Companies hire us to hack them and find the vulnerabilities before the bad guys. We saved a spot for your PowerPoint Template Design Contest. Professional PowerPoint templates, no matter your budget. Pitching your new business to investors? We’ve got a template for it. Giving a high-profile keynote address? We’ll make you look great. Whatever you need, we’ll get you ready to go with fast, quality custom PowerPoint templates from the pros. Your burning PowerPoint template FAQs, answered. 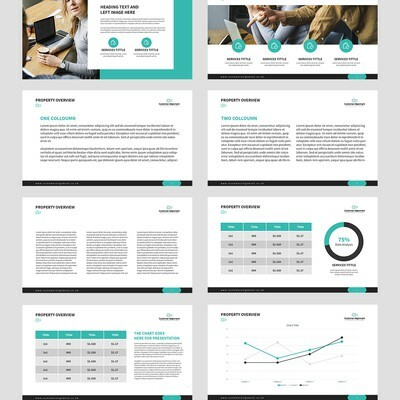 What will I get with my PowerPoint template design? Everything you need to create your PowerPoint presentation. Your template will be uploaded as an editable PowerPoint (PPT). 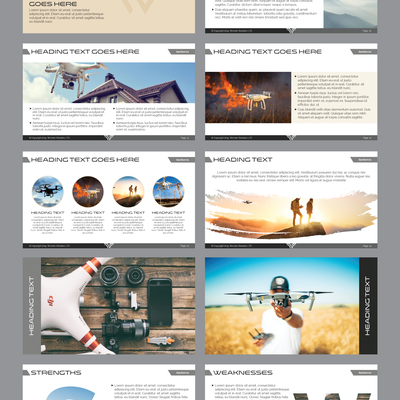 By default you’ll get the following 8 types of slides: title, heading with text, 3 key points, quote, image left, large image right, 2 large images and a large image with a caption. You can also make requests to replace one of those types if you have specific needs. What do I need to prepare for my PowerPoint template design contest? Lots of ideas! If you’re looking for inspiration, explore 99designs for fantastic examples of PowerPoint templates created by our design community. Bring as many specifics as you can, too. Include designs you like, brand details (e.g. colors, fonts and design elements), information about your business, photos, presentation requirements, specific slide-type needs and any other specifications that would affect your design. 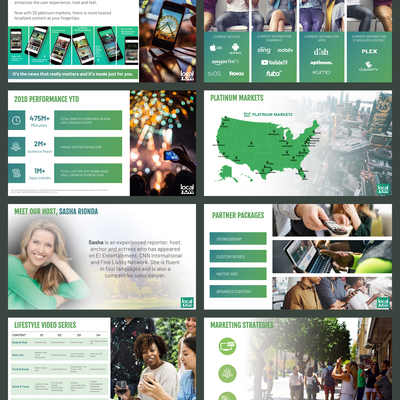 The more you give the designers, the better they can create a PowerPoint template for you! Yes. If you have any specific images (like a logo or product photos) that need to be included with your PowerPoint template, please submit them to designers with your brief. What if I have more than one presentation or need additional templates? Your custom PowerPoint template design contest includes one winning template (with 8 slide layouts). If you need a second version for another presentation, or additional slide layouts, you have a couple of options: you can run a second contest, or you can start a 1-to-1 Project with your winning designer to create the additional assets. On 99designs, designers agree to upload only original artwork, so each designer owns the rights to their design submissions until you choose your contest’s winner. During the design handover stage, the designer agrees to transfer the rights, and you become the owner of the copyright of your winning PowerPoint template. Which package should I choose for my PowerPoint template design contest? 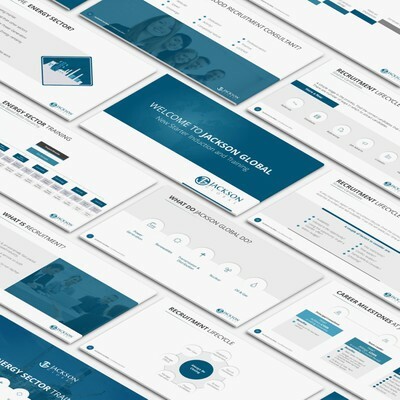 We guarantee that you’ll get a great PowerPoint template at any pricing level, but our higher-priced packages give you more design options and better support. When selecting your PowerPoint template contest package, think about how much time you’ll have and what experience you have writing briefs and working with designers. If you're still unsure, contact us for a design consultation. Choose “Make your contest private” from the Contest options section before you launch your PowerPoint template design contest. This will prohibit designers from using their designs elsewhere, and your contest will be unsearchable on the web. We offer a 100% money-back guarantee within 60 days of payment on all PowerPoint Template Design Contests, except those with a guaranteed prize and those that have entered the Final Round. You can also call us anytime to help you rewrite your brief, reopen your project to ensure you get a good result and help you pick a winning design. Remember, if we refund your contest, you aren’t legally entitled to use any of the designs submitted to your contest.